Residential We take care of all your residential roofing needs. Click to learn more! Storm Damage	Trust us to repair your roof's hail, wind, and rain damage. Shingle Roofs Do you have a shingle roof that needs repair? We've got you covered. 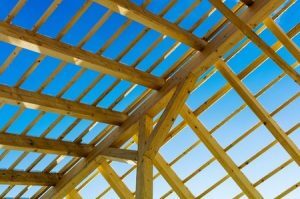 Roof Construction	If your home is under construction, put us to work for you! 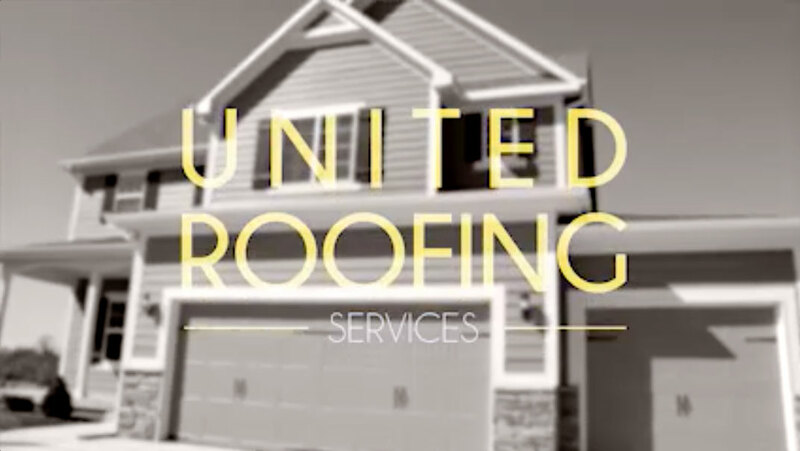 When you’re looking for a full-service residential roofer in Grain Valley and Kansas City, MO, give United Roofing Services a call. We are ready to get to work for you! We’ve been in the roofing industry for decades, and we have the experience and skills necessary to fix any problem you might be facing. From storm damage repair, to new roof and gutter installations, to re-roofs and total roof replacements — we do it all. We will even help you through the insurance claim process, and get the work done from start to finish. If you want a roofer who will pay attention to every detail and get things done right the first time, call us today at 816-228-1158. 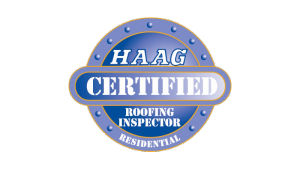 We hope that our certifications and reputation for excellence will make us your first choice for a roofer in Grain Valley and Kansas City, MO, and the surrounding areas. If you were to talk to our past and present customers, we are confident that they would be pleased with the quality of work and customer service they have received from us. Exceptional workmanship and customer relationships are our top priorities. We pride ourselves on being honest, reliable, and highly skilled roofers who can tackle any job, however large or small it may be. We are also sticklers for cleanliness and proper technique; we will always treat you and your property with the utmost respect, and we never leave a mess behind when we’re finished. When you make us your roofing contractor in Grain Valley and Kansas City, MO, you can rest assured that we will treat you like family. Click on any of the above links to learn more about that particular roofing service and what we do to address it. If you don’t see your roofing problem listed here, don’t worry! Call us so that we can discuss the details of your specific needs, provide an inspection and estimate for the required work, and formulate a plan to get it taken care of. We have a commitment to excellence that shows in every roofing project we do. That dedication also extends to our certifications and credentials. We are willing to put in the hard work necessary to earn these certifications and keep them current. That’s just one of the ways we go above and beyond when we’re working for you. Every detail is important to us. Click here to learn more about us, our history, our mission, and our service to wounded veterans. If you have any questions about us or the services we provide, please give us a call at 816-228-1158. We are always happy to hear from you, and we will gladly answer any questions you have. We look forward to being your choice of roofing contractor in Grain Valley and Kansas City, MO! Is your roof having drainage problems? We provide gutter repair and new gutter installation to protect your roof from water damage. Gutters are an important part of your roofing system that should not be underestimated or overlooked. Sturdy guttering sections which are properly installed will carry water — and the potential damage it can do — away from your roof after rainstorms. 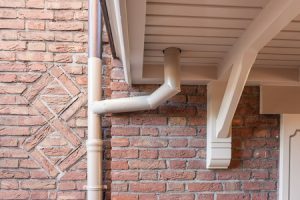 We always check and recheck to make sure the gutter material is of the highest quality, free of damage or dents, and that the segments line up properly to hold water without leakage. You can choose to have the downspout deposit water into your yard, or into a rain barrel, where it can be conserved for gardening or other purposes. Check out our page on gutter repair and installation to learn more. We look forward to being your roofer in Grain Valley and Kansas City, MO, and neighboring areas. If your roof is damaged, but still structurally sound, you might not need to replace it. We provide re-roofs for qualifying homes. To qualify, your home will need to have a shingle roof. Re-roofing involves laying down another layer of shingles on top of an existing shingle roof. 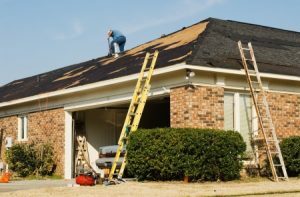 Most city building codes allow residences to have two layers of asphalt or organic shingles at a time, so if your house has never been re-roofed before, it could be a good candidate for this service. Re-roofing saves time and money, because it doesn’t require as much labor and disposal as tearing off the old roof and installing a new one. If this is a service you’re interested in, call us today! We will provide an inspection and an estimate before we set the project in motion. Click here to learn more about re-roofing, and make us your choice of roofer in Grain Valley and Kansas City, MO, and the nearby areas. If your new home is currently being built, choose us as your roofing contractor in Grain Valley and Kansas City, MO. We provide complete new roof construction services, from the very first rafter to the very last shingle. It doesn’t matter how large or small your home is; our goal is to give you a strong, long-lasting roof that will last for many years while it keeps your home’s occupants comfortable and safe from bad weather conditions. As your roofer, we will be sure to present you with all of your available roofing options. We know how important it is to choose the right material to keep your home safe, and the right color to give your house maximum curb appeal. You are welcome to have as much or as little say as you like in the selection process. We will always do our very best to accommodate your wishes. 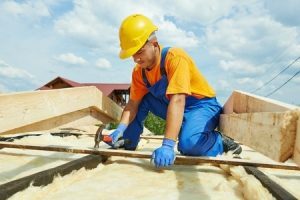 Read more about our new roof construction services here, and make us your roofer in Grain Valley and Kansas City, MO, whether you need a simple repair or an entirely new roof. We are here for you! Updated on September 21, 2018 at 6:55 pm by United Roofing Services.